Welcome to our online application for housing. 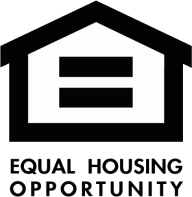 Click here for information on our Housing Choice Voucher program. This waiting list is currently Open . Please note you must provide a complete valid address. If you do not provide a complete valid address, your application will be withdrawn. Thank you. PBV Lafayette (Formerly known as Public Housing)This waiting list is Open. PBV Auburn (Formerly known as Public Housing)This waiting list is Open. TBV\Section 8 Auburn. This waiting list is Closed. To start your application for housing, click the Next button.